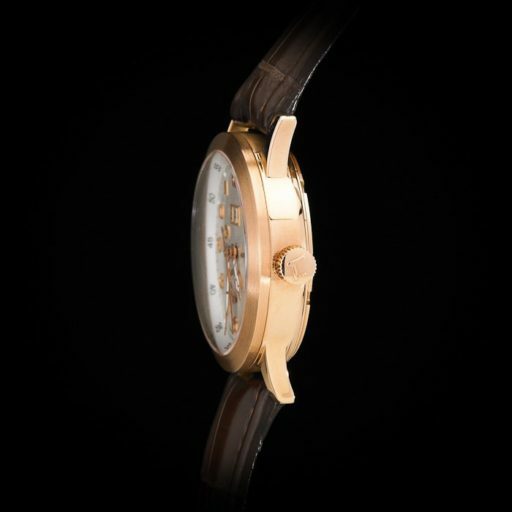 Tutima Valeo 18K Rose Gold, White Dial, Date. 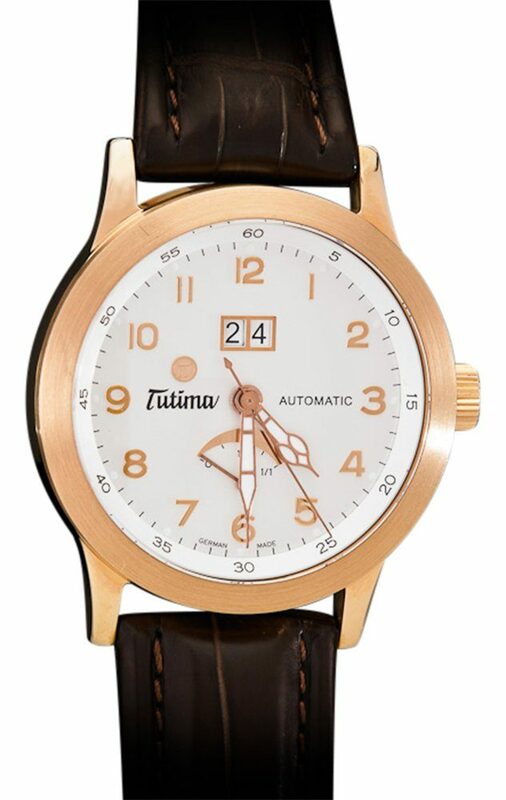 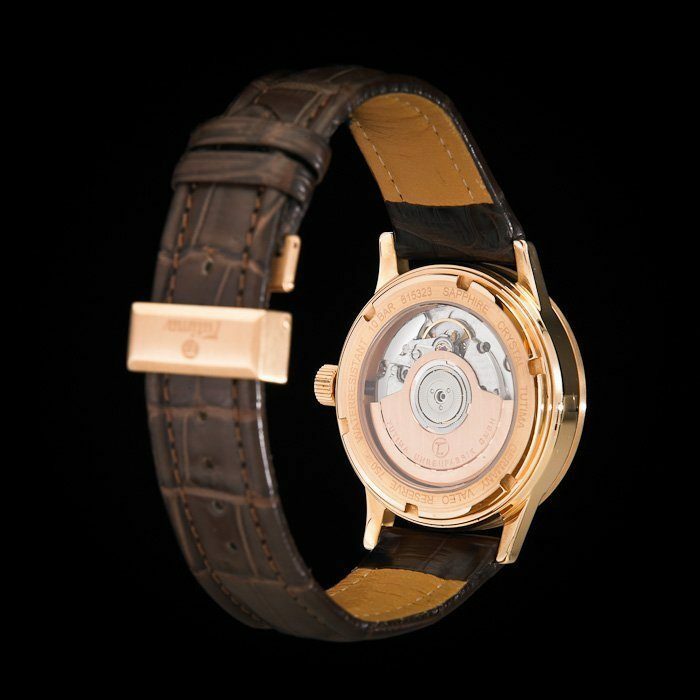 This Tutima Valeo timepiece is a symbol of the classic watch. It focuses on the simplicity and elegance of the essentials while still featuring amazing complexity. 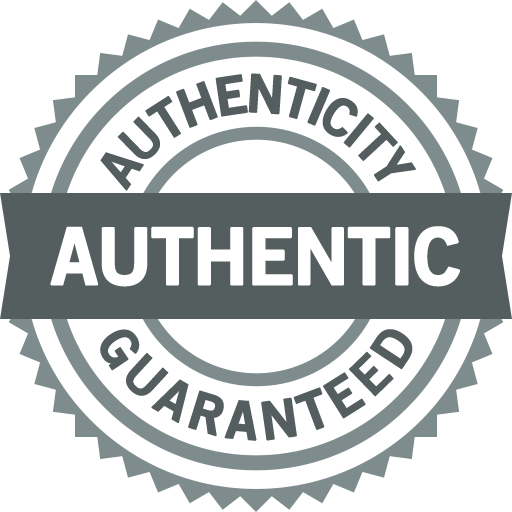 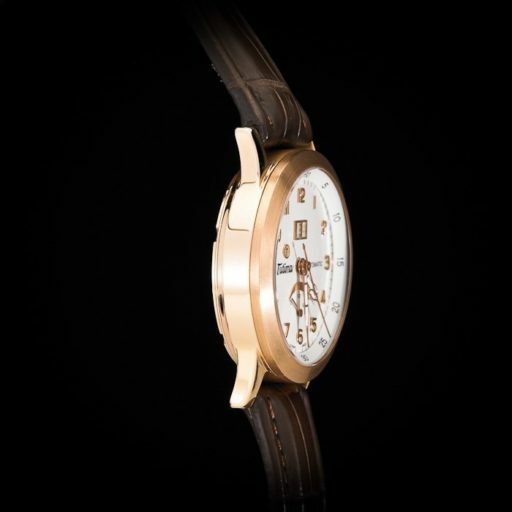 Valeo, the Latin phrase for “I can,” expresses the strength and influence which this watch embodies. 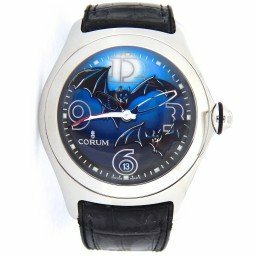 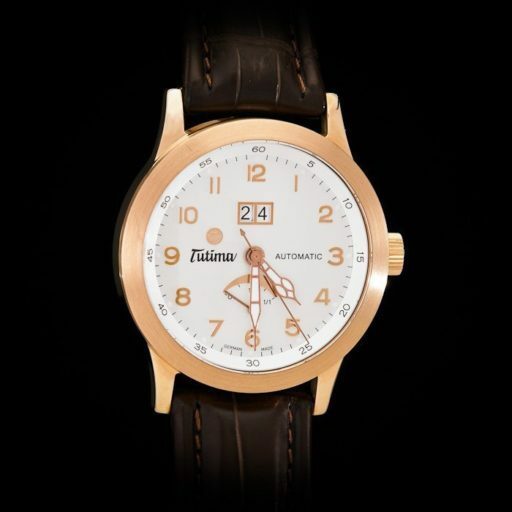 Don’t miss out on the opportunity to own this classic Tutima timepiece.